Polkadots Cupcake Factory, Austin - TX: Happy New Year! It's 2009! 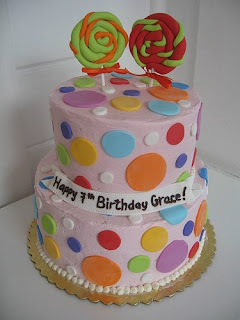 Here are a few of our recent cupcakes and cake for this month. The flavor is devils food chocolate cake with swiss chocolate buttercream. Carrington's mom requested for blue and green theme! topped with birthday gifts, lollipops, slippers, and peperoni pizza! The flavor is vanilla cake with vanilla swiss buttercream and fresh cut strawberries. YUM!